As promised from yesterdays post we were going to take a look at how water enters a building. We know water can enter a building in many ways, through masonry walls, roofs, windows, and saturated soil surrounding the foundation just to name a few. There is also interior sources of water, such a condensation from cooking, cleaning, showering – generally occupying the home. However, this is not the whole story when it comes to historic masonry walls. What we don’t talk about much is the “embodied water,” the water that remains in the walls at all times. Old historic masonry walls are moist in the center, due to the porosity of the masonry units, the lime mortars, and the thickness of the wall – it’s just hard for them to dry out completely. They really never do completely dry out, especially if they are foundation walls. We must consider this condition and account for moisture already present within the wall, because if we don’t, we could unintentionally trap moisture even when the outside of the wall feels normal and dry. Load-bearing historic masonry walls (16 inches to 24 inches in thickness) are porous, capable of wicking large amounts of water great distances due to capillary suction. The smallest cracks and pores found in mortar, brick and stone can bring on water in a big way. The action of wicking is energized by the horsepower of smallness. The smaller the pores or cracks in the wall, the more powerful the draw of the wicking action. If you have given blood, you may recall the very small glass tube the nurse uses to take a droplet of blood from your fingertip with a seemingly invisible vacuum cleaner. The blood droplet instantly goes up the tube – effortlessly, capillary suction at work. 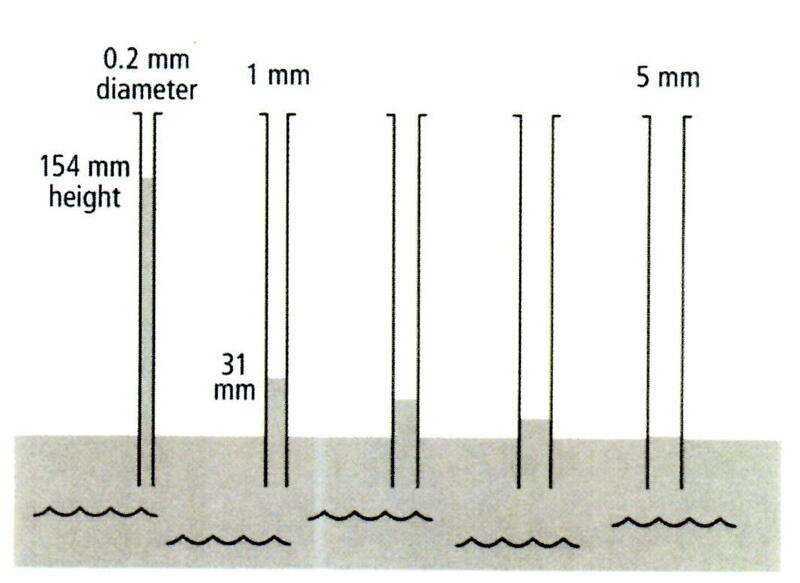 The horsepower of smallness regarding the capillary action of water should be cause for concern, because architects and contractors are often focused on repairing large cracks in buildings while leaving the small ones untreated. Don’t be deceived. The small cracks, even the hairline cracks, are where the suction power is. One way to slow down the power of capillary suction is to reduce the surface area of the material that comes in contact with the water source. For small hairline cracks, injecting dispersed hydrated lime (DHL) into the crack with a syringe will sometimes do the trick. Unlike epoxy or cement, DHL remains flexible after it cures and maintains good vapor transmission, allowing the wall to breathe while at the same time halting the water – pulling the plug on the vacuum of capillary suction. Dispersed Hydrate Lime (DHL) is a product imported from Germany and has been used successfully on many historic masonry structures here in the United States for over 10 years. Information on the product can be obtained by contacting the U.S. Heritage Group based in Chicago. Other vender choices I’m sure are available, but this is the product we have specified and are most farmiliar with using. This entry was posted on October 14, 2011, 11:32 am and is filed under Uncategorized. You can follow any responses to this entry through RSS 2.0. You can leave a response, or trackback from your own site.